The McGill Library has a collection of nearly 50 000 airphotos that are not in the library catalogue, therefore it is best to consult hssl.library [at] mcgill.ca (library staff) for help in locating air photos. Note: The KML indexes require Google Earth to use. There are also several digital orthophotos of Montreal and Quebec. The GIC has nearly 7000 airphotos from the province of Quebec. See also the digital orthophotos of Quebec. 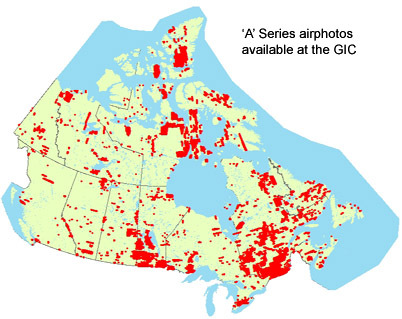 The GIC has over 25,000 air photos of other regions in Canada. KML index to all Barbados airphotos also available.